Heading outdoors to walk my dog in a favorite sweatshirt, biking down a country road near my house in Northern Ohio, and filling bags with apples grown in local orchards are just a few of the ways I try to breathe in nature’s beauty this time of year. The air is crisp, not yet cold; the falling leaves are colorful and fleeting; and precious daylight hours are receding. This sensual interlude is so brief, let’s not waste time. Walking or biking through your favorite park is certainly one way to see the fluttering golds, reds and oranges overhead. But what about getting in your car? “There's no better way to savor the excitement and diversity of fall color than with a drive through the state's rural countryside,” says the Ohio Department of Natural Resources. 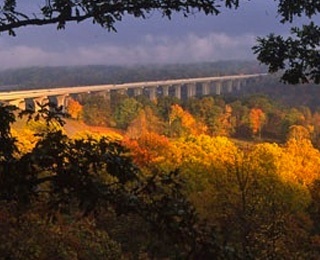 The state agency has put together four fall foliage driving tours. Enchanted Circle Scenic Byway in New Mexico. Subaru also offers some helpful driving tips, including being vigilant for wet leaves, potholes and deer. “Deer Mating Season: Drivers Beware,” a New York Times headline warns. “Nearly half of vehicle accidents involving white-tail deer occur from October to December, according to Chad Stewart, a deer research biologist at the Indiana State Division of Fish and Wildlife,” writes Mickey Meece. Deer tend to travel in groups and are most active between 6 p.m. and 9 p.m., according to the Insurance Information Institute. Northern Ohio is home to the state’s only national park, and you can explore it by train. The Cuyahoga Valley Scenic Railroad travels north-south through Cuyahoga Valley National Park, from Independence to Akron. You can take a round trip, which lasts about three hours, or hop off and visit local attractions, such as the picturesque village of Peninsula. (Your ticket is good all day.) And bikers can cycle in one direction and take the train back. The train operates Tuesdays through Sundays, and tickets can be purchased online. In southern Ohio, the Hocking Valley Scenic Railroad has added weekdays to the fall schedule because of the spectacular foliage. The train leaves Nelsonville, about 13 miles from Athens, for a two-hour round trip, and tickets can be purchased online. It’s probably too late this year, but in the future, consider hopping aboard Amtrak’s Autumn Express. The daylong ride in mid-October through the Hudson River valley starts and ends at New York City’s Penn Station. 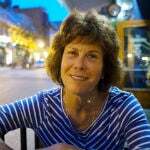 Highlights include Haverstraw, where passenger trains have not run in decades; Bear Mountain Bridge; the U.S. Military Academy at West Point; and the Poughkeepsie Bridge, a walk/bike bridge over the Hudson. Quarry Hill Orchards in Berlin Heights has roughly 90 acres of apple orchards and 38 varieties. As you select your apples, owner Bill Gammie, with resident dogs Walter and Hudson in tow, will greet you and hand you a cup of cider to sample. You can shop for other fresh fruits and vegetables, along with jams, maple syrup, candies and soaps, then head up the hill to the winery to enjoy an adult beverage and great view. Quarry’s Apple Peak Fall Gathering is October 21, offering activities and flavors for all ages. Burnham Orchards, also in Berlin Heights, has a packed calendar of fall harvest activities, including apple butter-making demonstrations. Burnham also offers a wide selection of apple varieties and you can pick your own. Even sweeter, you can buy apple pies, apple fritters and other fresh-baked goods from Grandma Bea’s Bakery, located inside the market. And if you are looking for a fall market to visit in the Cuyahoga Valley, consider Szalay’s Farm, just south of Peninsula. You’ll find a nice variety of fruits and vegetables, including apples and their signature sweet corn. Take your grandchildren along to enjoy the corn maze, and pick up some pumpkins and mums for this year’s fall decorating. Autumn Is Also Time to…. Not only is fall when we move back our clocks (this year, November 5), but it’s also time to take preventive measures against the upcoming flu season, which typically peaks between December and February. The Centers for Disease Control and Prevention recommends that, with rare exceptions, all persons 6 months and older should get an annual flu vaccination, especially older adults 65 years of age and older, who are at a greater risk of developing serious complications. Fall is always an exciting time at Kendal at Oberlin. Students are back in classes at Oberlin College, which means they’re usually on the Kendal campus as part of the Ars Moriendi class or a joint volunteer project. 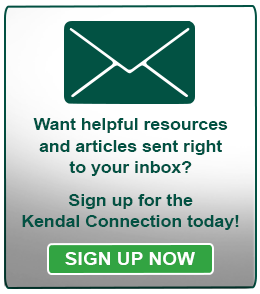 Keep track of what’s going on at Kendal on our Events or News pages!